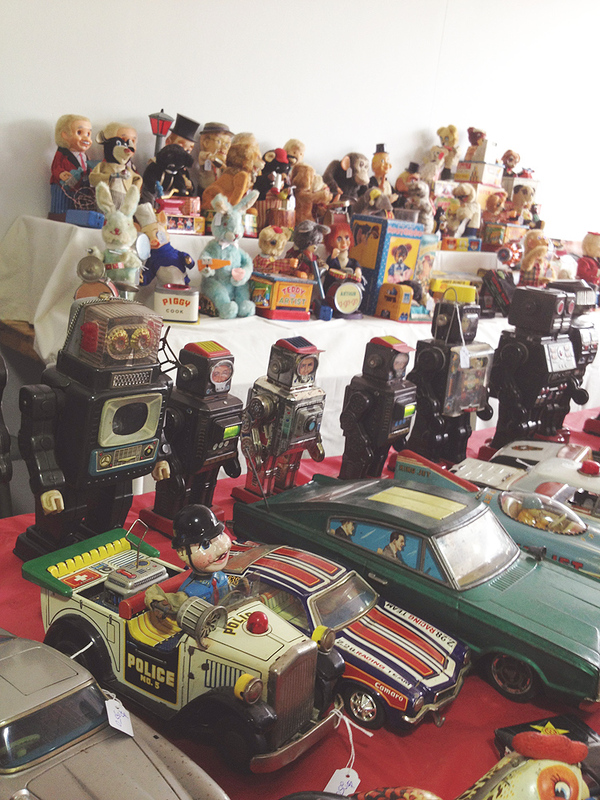 Andi B. Goode: Toy Fair! Today I went out to the Mega Toy Fair at the showgrounds, here. I'm pretty sure that last year I found out about it only a month after it was on so I was determined not to miss it this year. Looking at the photos on Facebook I was fairly certain I wouldn't find much that I wanted to buy - most of the photos from last year's fair were of model cars and the occassional tin toy. Luckily, when I got there, I was proved wrong. I wanted nearly everything aside from the cars (well, except for all the Batmobiles). My outfit! 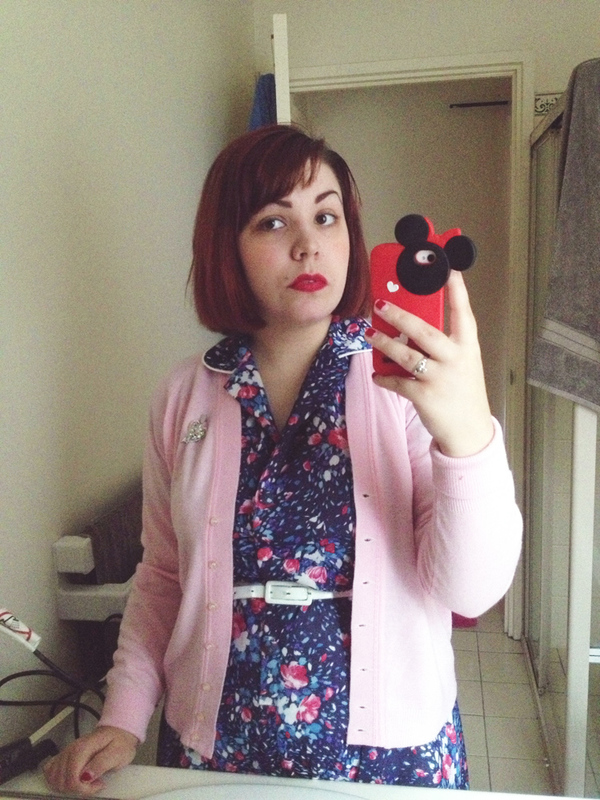 Sorry again, for the mirror shot but it was quite rainy today. 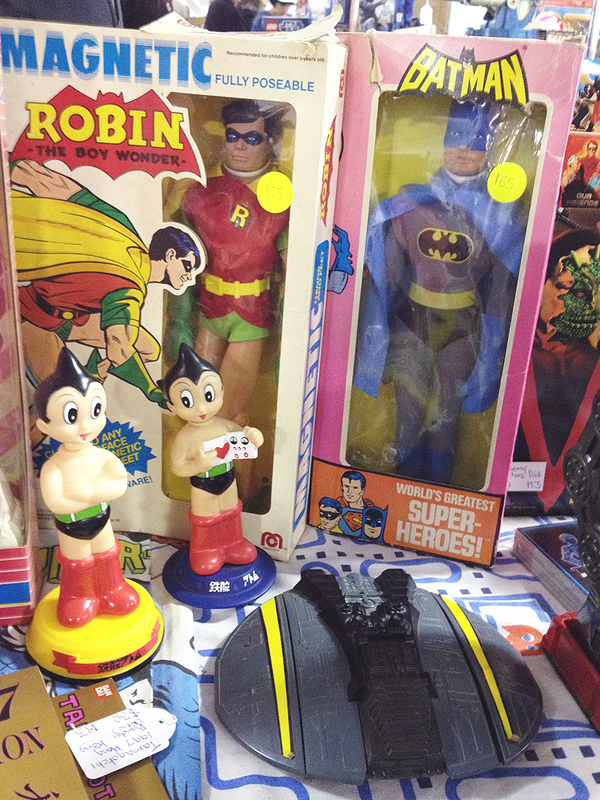 I so very much wanted this Mego Batman but his price was more than what I'd budgeted for the whole fair, unfortunately. There are always going to be disappointments, though. The only other major one was coming across this Batgirl Barbie and finding the seller wouldn't sell her separately from the other comic themed Barbies he had. At the moment, the cheapest I can find her online is $80. Sigh. If I'd had extra money, I would have bought the lot and sold the others. I understand why people want to sell things in sets, having been a vintage collector for a while and knowing how frustrating it is to see sets that are hard to find together being broken up. But these dolls weren't even a set! There were a whole lot sold around the same time but I wouldn't have thought of them as a set, as such, especially as he didn't have a couple of them, anyway. But at least I was brave enough to ask, this time! 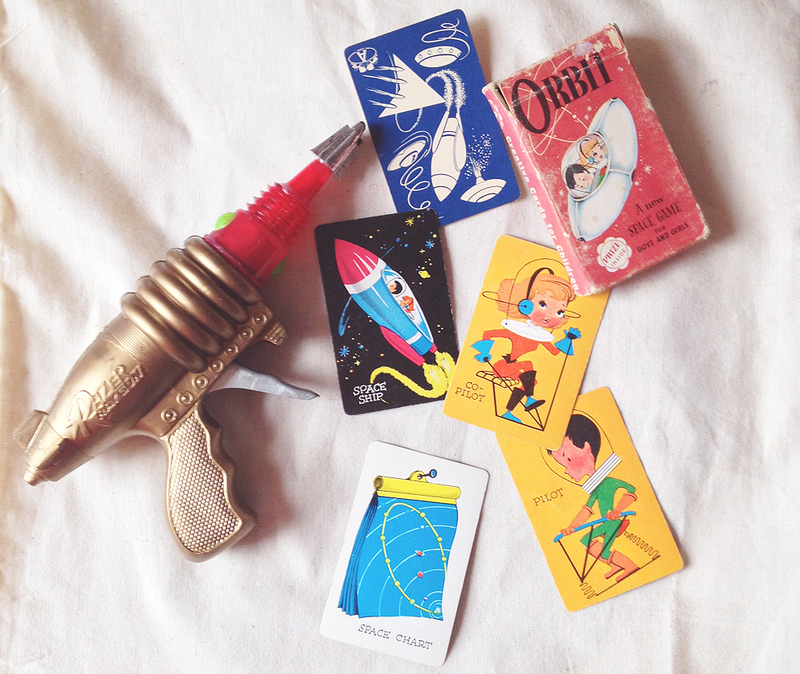 So many neat wind-up and/or tin toys. They're not something I want to collect but I love looking at them. Some things that I did buy! The ray-gun still sparks when you pull the trigger. And how cute are these playing cards? I'm not sure if I'll play the game but it was worth buying for the illustrations. I finally found Tammy's brother, Ted, for a price I was happy with! I'm not as keen on him as I am his sister, which is why I've put off buying him. But seeing him today for a good price I figured, why not? His arms and legs are a bit swingy (loose) but he displays nicely. I've been after one of these lamps for a while, too. There were so many there I found it hard to choose but bears were always my favourite as a child so this one came home with me. And lastly, a Tressy doll who I bought because I liked her dress. 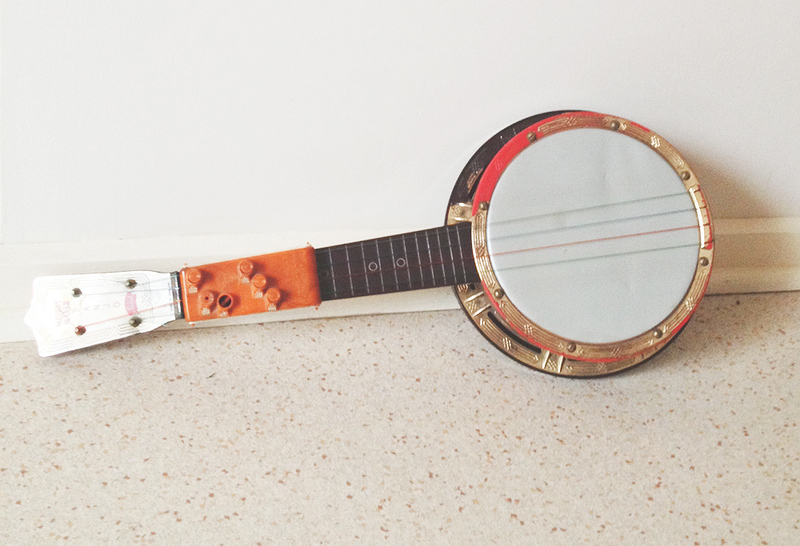 And a banjolele! The Melody Maker by Selcol. Selcol made a number of plastic ukuleles during the 1960s - this one has its automatic chord player - instead of placing your fingers on the frets you press a button to change chords. It's missing a couple of the buttons but, as these are getting harder to come by especially with the chord player, it was a good deal. You look cute. Those playing cards are too cool. You can always frame a few cards to display their awesome illustrations. I love the ray gun so much. You could always frame those cards - they would be adorable on the wall. The banjoleleis super cute too. Will you play it at all? Very pretty outfit, dear Andi. I love your hair like that. I sometimes wish I'd cut mine shorter in the same kind of style before lobbing what remained off it off and becoming a wig wearer last year. Have an awesome month of June, dear gal! Ilove the cards! Definitely frame-worthy! I went to that too (picked up some good deals on some model kits I'll probably not touch for ages), after having missed last year's. Pity I didn't run into you. I went Sunday, so guessing you went Saturday? I love the ray gun and the cards so much! And that photo of them together is so perfect. Also the bear lamp is adorable!